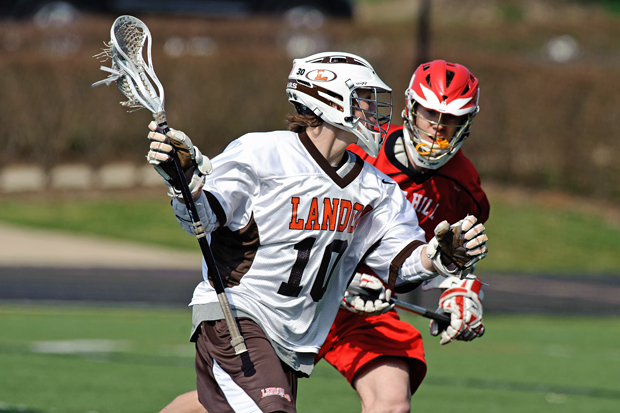 The following player and team statistics are the nation’s reported and known 2012 high school lacrosse performances in boys' lacrosse. Some statistics are missing for the 2012 boys' high school lacrosse season. I am working to find the missing information. If you know of a performance from the 2012 season that qualifies please email Mike Loveday. To submit a performance for inclusion click one of the following links. You will be taken to a submission form where you can fill out all the necessary information. You will get a confirmation of receipt from Mike Loveday and will be notified when the site will be updated. You can reach Mike Loveday via email at MLoveday@laxrecords.com. 159 Tom Bavis Nashoba Valley 2012 104 55 #DIV/0! 148 Cam Joyce Archbishop Williams 2012 85 63 #DIV/0! 140 Michael Ondrusek Hempfield 2012 #DIV/0! 136 Tucker Ciessau Scituate 2012 100 36 #DIV/0! 135 Justin Anderson Centennial 2012 90 45 #DIV/0! 130 Max Hines Spain Park 2012 79 51 #DIV/0! 129 Zach Wood Sr. Waubonsie Valley 2012 81 48 #DIV/0! 129 Colin Marcin Nashoba Valley 2012 74 55 #DIV/0! 126 Zed Williams Jr. Silver Creek 2012 75 51 #DIV/0! 124 Stevie McKee Holt 2012 80 44 #DIV/0! 124 John Blackman Spartanburg 2012 96 28 #DIV/0! 123 AJ Fish Grayslake North 2012 74 49 #DIV/0! 123 Connor Fields Bishop Timon-St. Jude 2012 88 35 #DIV/0! 122 Case Matheis Sr. Darien 2012 69 53 #DIV/0! 122 Jay Drapeau Westford Academy 2012 95 27 #DIV/0! 116 Nick Wynne Glenelg 2012 53 #DIV/0! 115 Connor Mersch Sr. Waubonsie Valley 2012 81 34 #DIV/0! 114 Devin Dwyer Garden City 2012 75 #DIV/0! 113 Jon Brown Scituate 2012 60 #DIV/0! 112 Jerome Rigor Foothill 2012 51 #DIV/0! 112 Reid Foley Myers Park 2012 59 #DIV/0! 111 Riley Kennedy Brother Rice 2012 61 50 #DIV/0! 111 Ryan Swingle Battlefield 2012 88 23 #DIV/0! 108 Tyler Price McIntosh 2012 76 32 #DIV/0! 108 Matt Siemons Monroe Township 2012 71 37 #DIV/0! 108 Scott Bieda Bridgewater-Raritan 2012 48 #DIV/0! 107 Wiley Osborne Menlo 2012 47 #DIV/0! 106 Sam Llinares Hauppauge 2012 47 #DIV/0! 106 Michael Hanlon Battlefield 2012 60 #DIV/0! 105 Connor Cannizzaro Cazenovia Central 2012 42 #DIV/0! 103 Nathan Solomon Fr. Centennial 2012 49 54 #DIV/0! 102 David Stafford Mattawan 2012 #DIV/0! 102 Cody Radziewicz Christian Brothers 2012 44 #DIV/0! 100 Andrew Kransberger Forest Hills Central 2012 63 37 #DIV/0! 100 Matt Milne Derryfield 2012 51 49 #DIV/0! 100 Brandyn O'Connell Downingtown East 2012 56 #DIV/0! 99 Dean Dillenberg Palos Verdes 2012 46 #DIV/0! 99 Kobie Ewards Fairhaven 2012 #DIV/0! 98 Louis Dubick Winston Churchill 2012 48 50 #DIV/0! 98 Brian White Bayport-Blue Point 2012 53 #DIV/0! 96 Sean Ahearn Langley 2012 #DIV/0! 95 Kobie Edwards Fairhaven 2012 95 0 #DIV/0! 94 Zach Fixen Palos Verdes 2012 #DIV/0! 94 Jake Gonzales Columbine 2012 #DIV/0! 94 Ian Speliotis Westford Academy 2012 55 #DIV/0! 94 Tim Ahern St. Mary's 2012 #DIV/0! 92 Nate Puldy Monarch 2012 #DIV/0! 92 Deke Burns Jamesville-DeWitt 2012 #DIV/0! 92 Justin Guterding Garden City 2012 #DIV/0! 91 Kyle Foley Sr. Lane Tech 2012 45 46 #DIV/0! 91 Tim Rotanz Shoreham-Wading River 2012 48 43 #DIV/0! 91 Matt Schultz Smithtown West 2012 #DIV/0! 91 Gus Stewart Summit Country Day 2012 78 13 #DIV/0! 90 Matthew Giampetroni Cranbrook School 2012 50 40 #DIV/0! 90 Ryan Hollingsworth Bridgewater-Raritan 2012 #DIV/0! 87 JT Blubaugh St. Francis DeSales 2012 66 21 #DIV/0! 84 Chris Kaczmarski Sr. Mainland 2012 28 56 #DIV/0! 75 Zach Sirico Sayville 2012 75 #DIV/0! 65 Quinn Moroney Manhasset 2012 65 #DIV/0! 50 Mike Spuller Dexter 2012 50 #DIV/0! 50 Zack Sikora Centreville 2012 50 #DIV/0! 49 Connor Sofield Long Beach 2012 49 #DIV/0! 47 Paulie Schalau Holt 2012 47 #DIV/0! 46 Ross Maxam Fulton 2012 46 #DIV/0! 46 Jake Knostman Bainbridge 2012 46 #DIV/0! 45 Evan Zakow Walt Whitman 2012 45 #DIV/0! 45 Sean Schweiker Oakton 2012 45 #DIV/0! 44 Matt Posch Bellport 2012 44 #DIV/0! 44 Trevor Kupecky Upper Merion 2012 44 #DIV/0! 43 Devin Phelps Chittenango 2012 43 #DIV/0! 43 Cassidy Miller Seattle Prep 2012 43 #DIV/0! 42 Austin Valenti Baldwin 2012 42 #DIV/0! 42 Matt Welsh St. Dominic 2012 42 #DIV/0! 41 Dalton Sierra Columbine 2012 41 #DIV/0! 41 Cabot Noyce Norwell 2012 41 #DIV/0! 41 Joe Delia Baldwinsville 2012 41 #DIV/0! 41 Tyler Sutter West Springfield 2012 41 #DIV/0! 40 Michael DiVinzenzo North Shore 2012 40 #DIV/0!